d. Nov. 5, 1977, USA. "The Sweetest Music This Side of Heaven" was the logo of Guy Lombardo & His Royal Canadians, who by 1930 had established themselves as America's top dance band. Unfairly lumped in with unswinging "Mickey Mouse" bands of the era, the music of Lombardo's outfit was actually top-notch, and they were constantly cited by Louis Armstrong as his favorite band for their purity of intonation. A cache of early sides for Gennett reveals that the band was capable of playing "hot" any time they wanted to, but sweet music and singing novelties featuring brother Carmen is what the public wanted, and Lombardo failed to disappoint. He became a national institution hosting televised New Year's Eve broadcasts from New York, making his rendition of "Auld Lang Syne" part of our national memory chest and his lasting legacy. Lombardo & His Royal Canadians played numerous radio broadcasts from New York and they began a long string of hits in 1927 that ran all the way to 1954. By the early '30s, Lombardo was an international celebrity, having hit records and appearing in films like Many Happy Returns. During this time, not only were Lombardo's records massively popular, but so were his radio broadcasts; it was his annual New Year's Eve show that made "Auld Lang Syne" a national standard. Lombardo also became a well-known speed boat racer during the '40s and, in fact, won many awards for his skills, including a National Championship in the late '40s. Between 1927 and 1954, Lombardo & His Royal Canadians sold well over 100 million records on a variety of labels, including Columbia, Brunswick, Decca, and RCA Victor; it's estimated that his total worldwide record sales ranged between 100 and 300 million copies. In 1954, Lombardo assumed the operation of the Marine Theatre, located at New York's Jones Beach. At the Marine Theatre, he staged a number of musical revues that were very popular. Lombardo continued to lead these musical productions until his death in 1977.
b. New York, NY, USA, d. Nov. 17, 2001. After decades in obscurity, Jerry Jerome (in his mid-eighties) started to appear on releases by the Arbors label in the 1990s. A superior swing tenor, Jerome was always a sidemen and was never a big name, although other musicians recognized his talents. He spent a period of time studying medicine but knew early on that he wanted to be a musician and he played in dance bands (most notably with Harry Reser in 1935) during college vacations before quitting school altogether. Jerome made his recording debut with Reser in 1936, was with Glenn Miller's early unsuccessful band (1936-1937), gigged with Red Norvo for a short period in 1938, and then worked as a studio player. 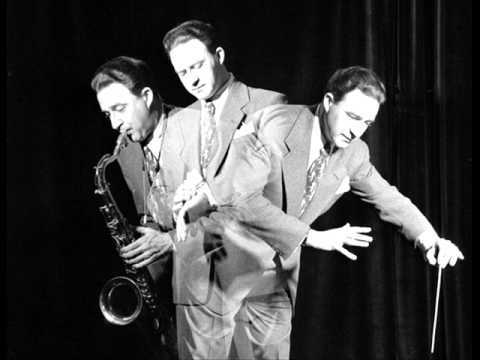 Jerome spent some time with Artie Shaw in 1938, and gained a bit of fame playing with Benny Goodman during November 1938 to July 1940, including appearing on many of Goodman's sextet sessions with Charlie Christian; he also recorded with Lionel Hampton. Jerome next returned to Artie Shaw until March 1941. From then on he became a full-time studio musician, working as musical director at NBC during 1942-1946, spending a couple years as the head of A&R work at the Apollo and Keystone labels, and worked as musical director for WPIX-TV in New York. b. Colon, Panama. d. Sept. 2, 1981. Albert "Bertie" King (1912 – 1981) was a Jamaican jazz and mento musician. If the name Bertie King comes up in connection with the history of the United Kingdom, chances are good the average citizen will think the subject under discussion is King George VI, known to his cronies as "Bertie." Ask a fan of jazz or Jamaican music, on the other hand, and the reference couldn't possibly be to anyone else but the clarinetist and saxophonist Bertie King, of major importance in his homeland as well as in England. Like many Jamaican players such as Joe Harriott, Harold McNair, and Dizzy Reece, King originally had to flee Jamaica simply to make a living playing his horns. His arrival in England in the '30s came at a time when there were few, if any, black musicians playing jazz there. Bandleaders such as Leslie Hutchinson made rich use of this small-scale migration from the West Indies. King also blew up a storm in the context of European jazz players such as the great guitarist Django Reinhardt as well as with Americans who toured and recorded abroad, including Benny Carter and Nat Gonella. King returned to Jamaica in 1951 and found the connections he had made in Europe to be quite valuable in helping to jump-start what would develop into a wildly active music scene on the island nation.His recordings of "Don't Fence Her In" and "Glamour Girl" that year were some of the first in the mento style, featuring instruments such as guitar, banjo, hand drums, penny whistle, bamboo saxophone, steel drums, and the so-called "rhumba box," kind of a massive thumb piano that would play the basslines. In the early days of mento there were no pressing plants whatsoever in Jamaica and it was apparently King who arranged for these first commercial recordings of Jamaican music to be manufactured at a factory in Lewisham, England, that was owned by Decca. This practice of pressing Jamaican records in England continued for some time. Joe Thomas will always be best known as the tenor soloist with Jimmy Lunceford's Orchestra . 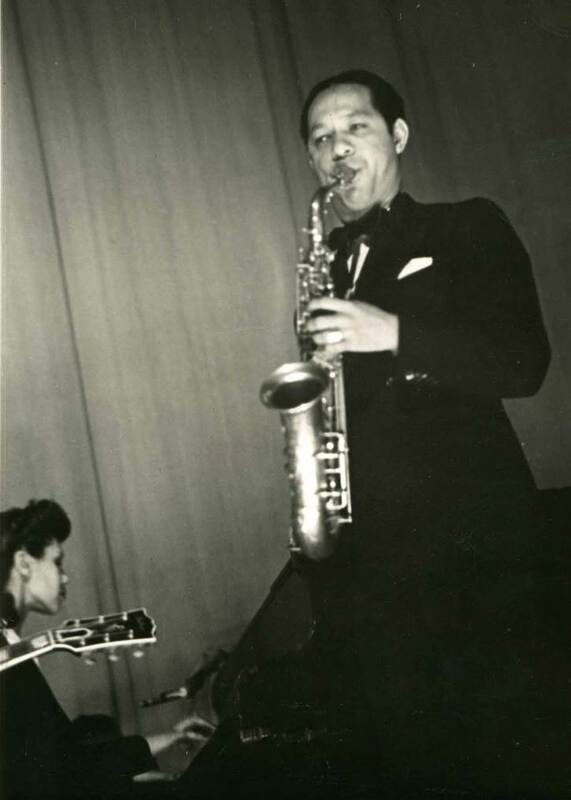 He was originally an altoist playing with Horace Henderson but switched to tenor when he joined Stuff Smith 's group. As a star with Lunceford from 1933 until the leader's death in 1947, Thomas had many short but often-memorable solos and took several vocals. 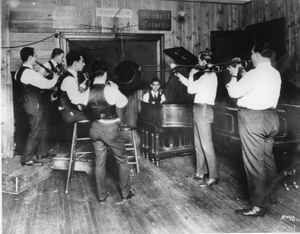 After Lunceford 's unexpected death, Thomas and pianist Ed Wilcox ran the ghost band for a year. Later, Thomas on his own recorded a variety of R&B-oriented sides, he left music in the mid-'50s to run his father's undertaking business, and from the 1960s on he returned to performing on a part-time basis, cutting a session in 1982 for Uptown. He is not to be confused with the fine swing trumpeter Joe Thomas. James John Walker, often known as Jimmy Walker and colloquially as Beau James (June 19, 1881 – November 18, 1946), was the mayor of New York City during the Jazz Age. During a corruption scandal he was forced to resign. If I had a girl like you! Haven't made a mistake in you! Wake me up and say it's true!